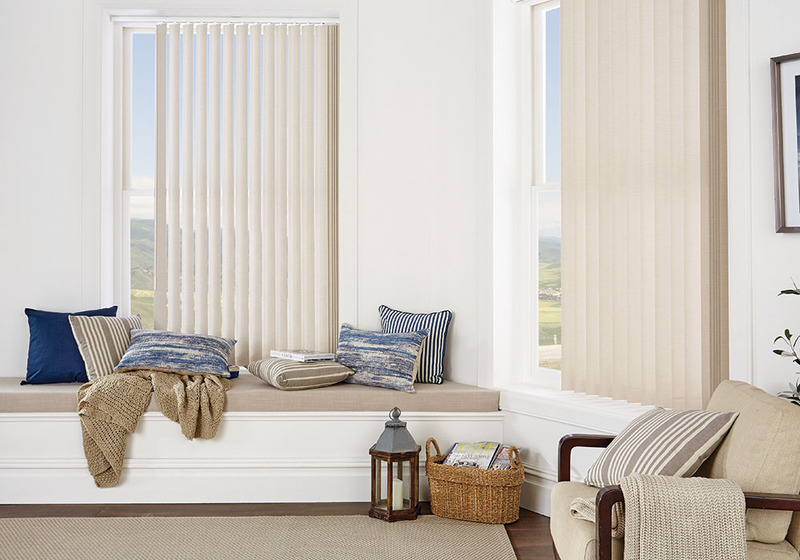 Vertical blinds offer the ultimate in shading flexibility and privacy along with modern clean lines and stunning fabrics. 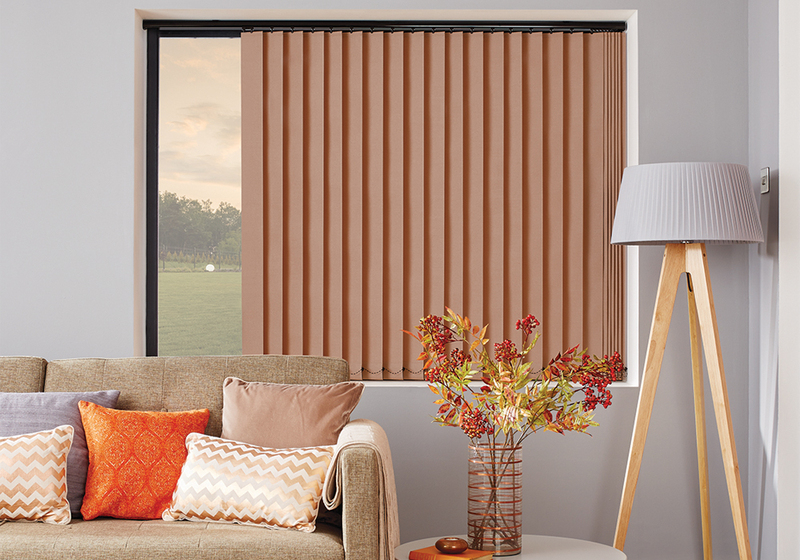 Practical and stylish these are a popular blind for patio doors, bathrooms, and office. 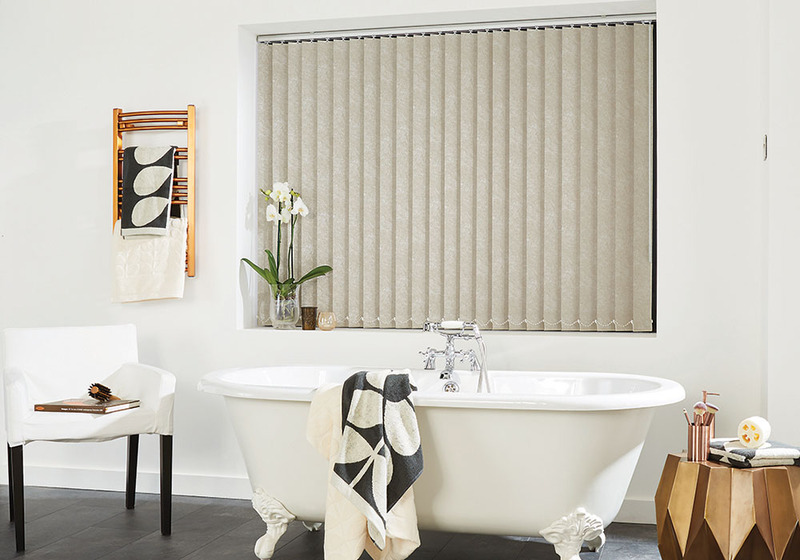 Choose from many options such as blackout vertical blinds, dimout blinds or pvc vertical blinds for bathrooms. Why not order your free sample today! 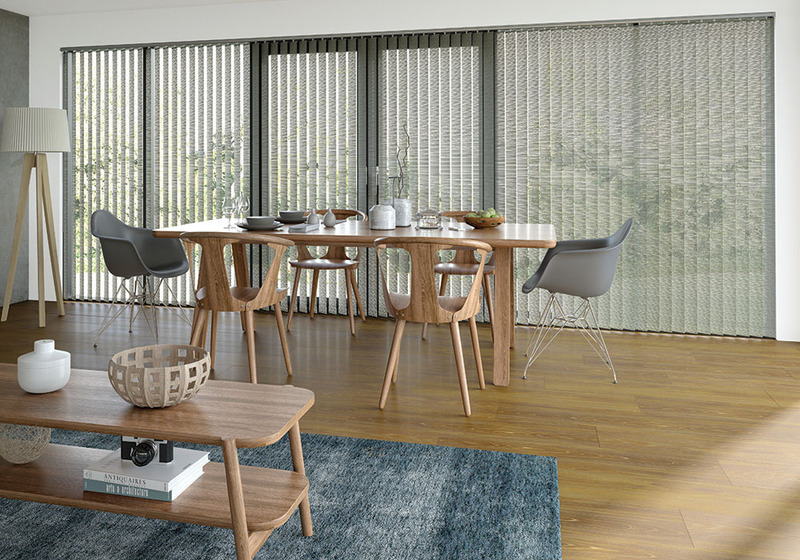 Our made to measure vertical blinds can be drawn neatly to the side to offer you unlimited views, or the louvres can be rotated to allow just the right amount of light into the room to maintain an element of privacy. 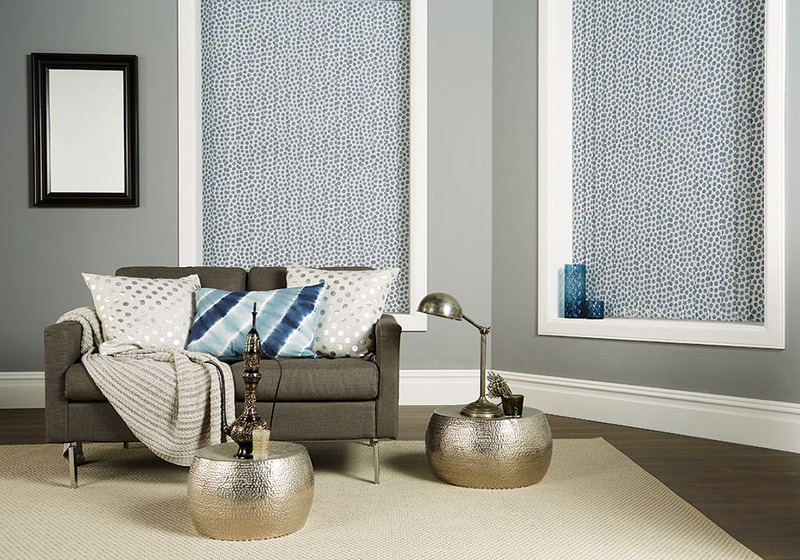 They are an ideal blind for wide windows as well as narrower ones, bi-fold doors and patio doors. 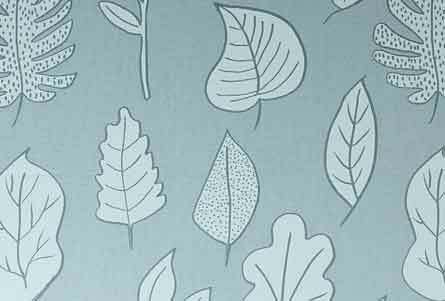 There are fabrics within the SLX Evolution Collection to suit every room, colour scheme and shading requirement, whether it be a light filtering, dimout or blackout blind fabric. 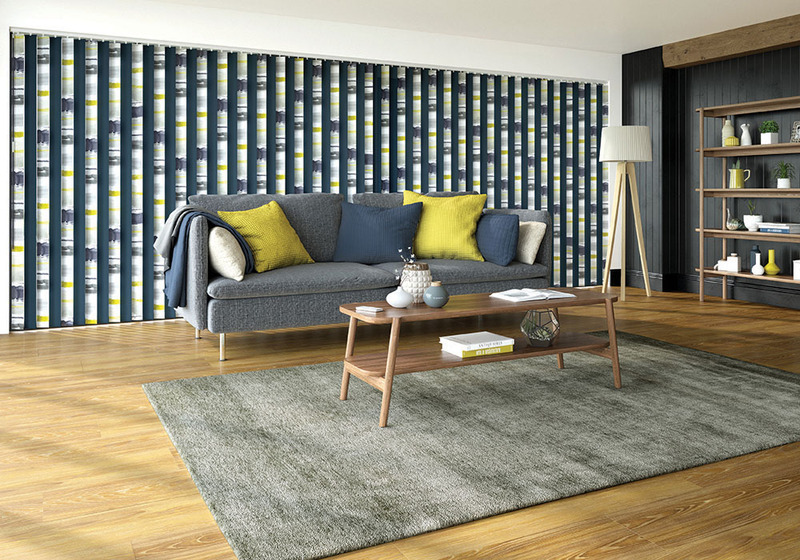 Mix and match patterned, plain and textured fabrics, to create a statement feature blind. All our vertical blinds are designed to be child safe, supplied with a child safety device and we would recommend wand operation for convenience and safety. Pollergen – A revolutionary new fabric treatment that’s designed to help combat the effects of pollen. Pollen, by its very nature is tacky and will stick to any surface it comes into contact with. Pollergen™ helps to increase this capture rate by the inclusion of a tackifier within the formula. Once captured, the unique Pollergen™ formulation will denature up to 50% of the grass pollen – essentially it kills the active element rendering the affected pollen absolutely harmless to sufferers. All Pollergen™ treated fabrics can be washed or wiped down as the active formulation continuously migrates to the surface of the fabric for continued protection. 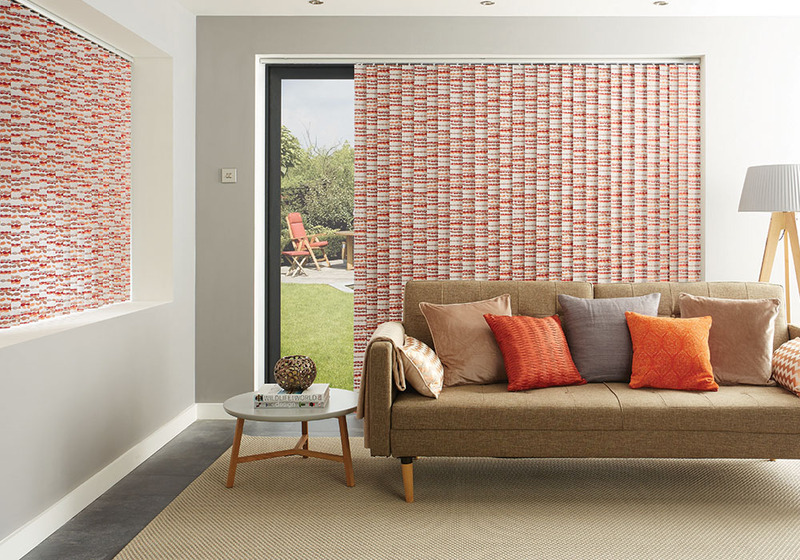 So when selecting your new roller blinds, make Pollergen™ your fabric choice. 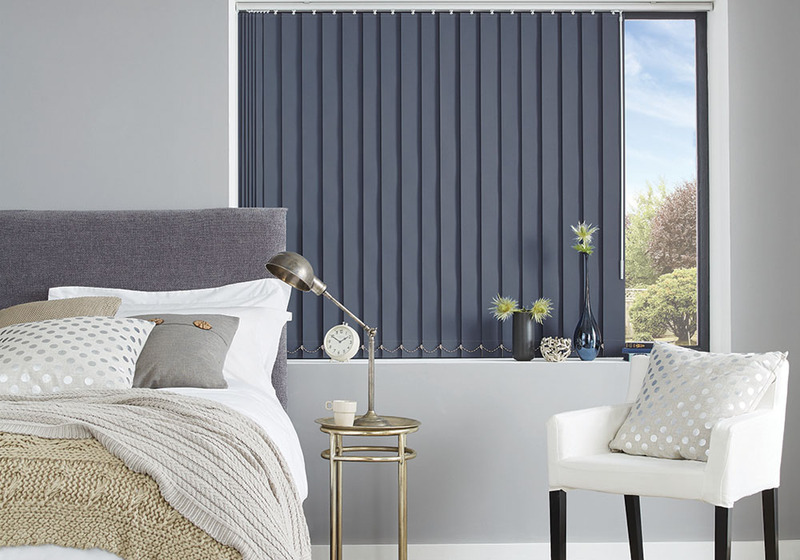 Please confirm the care instructions with your retailer, when purchasing your SLX Vertical Blinds, as the care instructions will differ depending on the roller blind fabric chosen.